This bloody fabric cargo net is a perfect backdrop for your macabre scene. Hang from windows, doorways, or ceilings to make your home more creepy for Halloween. Constructed from cloth and safe for outdoor use. 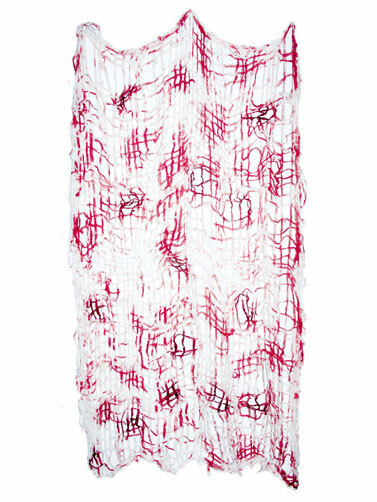 Bloody Fabric Cargo Net measures 63"L x 41"W.